When we think about paw care, we usually think about the nails. But paw care is so much more than trimming your dog’s nails. Wiping the paws off after walking your dog outside is a must-do. Paws soak up all types of not-so-good things and bring them into your house. What’s worse is dogs lick their paws and ingest things that can either be toxic or cause an allergic reaction. To wipe your dog’s paws, use plain warm water and some apple cider vinegar, or wipes formulated for dogs. Read the label on the dog wipes. Some ingredients used in wipes are not safe for dogs and can be harmful if ingested — even ingredients in baby wipes! Do your research and check with your veterinarian. If your dog experiences cracked paws, first step is to go to your vet to check that there isn’t a medical problem. If it is not a medical issue, Contois recommended monitoring the situation to make sure the paws are not bleeding, plus change your daily routine or cover up the paws with dog booties. 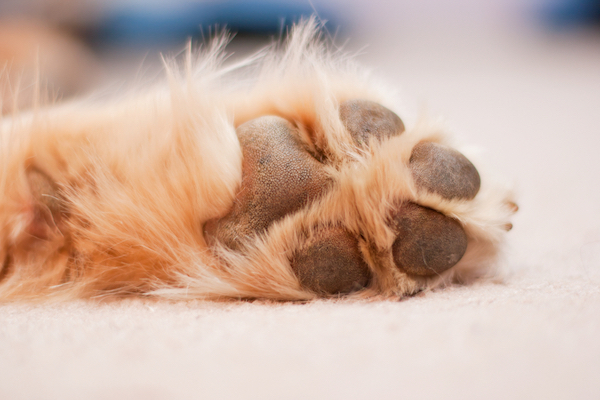 Dogs lick their paws, so whatever you put on their paws will undoubtedly go in their bodies. Use sparingly, and if your dog shows any type of adverse reaction, discontinue the product. Always do your research first, and check with your vet. 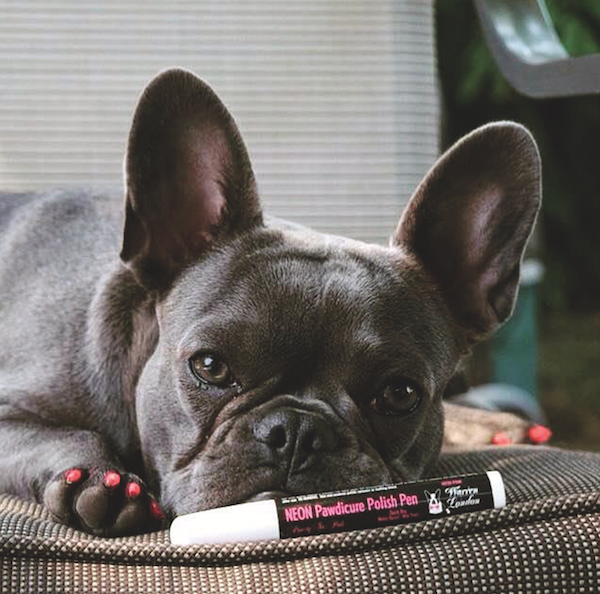 Frenchie with painted nails courtesy Warren London. Today, there are products on the market just focused on paw care. Warren London, an all-natural dog spa product company, came out with several of these posh paw care products. Warren London launched Deep Cleaning Paw Fizz Tablets, with ingredients to help eliminate fungus and bacteria, as well as give paws a deep cleaning. The company also has Grapeseed Oil Paw & Nose Revitalizer and Hydrating Butter to keep paws moisturized and hydrated every day. The post How to Keep Your Dog’s Paws Clean and Healthy appeared first on Dogster.